Offer an exciting food source to birds and wildlife alike with these Peanuts in the Shell. This food is enjoyed by birds, squirrels, and other wildlife in different types of feeders. Use a tray or squirrel feeder to distract squirrels from your bird feeders, or fill a tray feeder with these treats for many animals. Keep wildlife fed in your yard using Peanuts in the Shell. 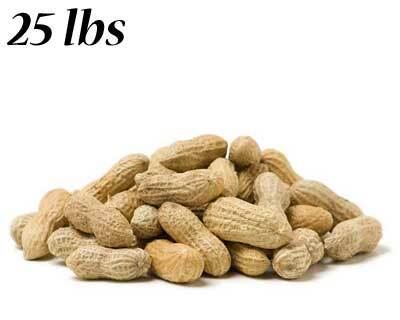 Note: These Peanuts in the Shell are packaged in a 25 pound bag.